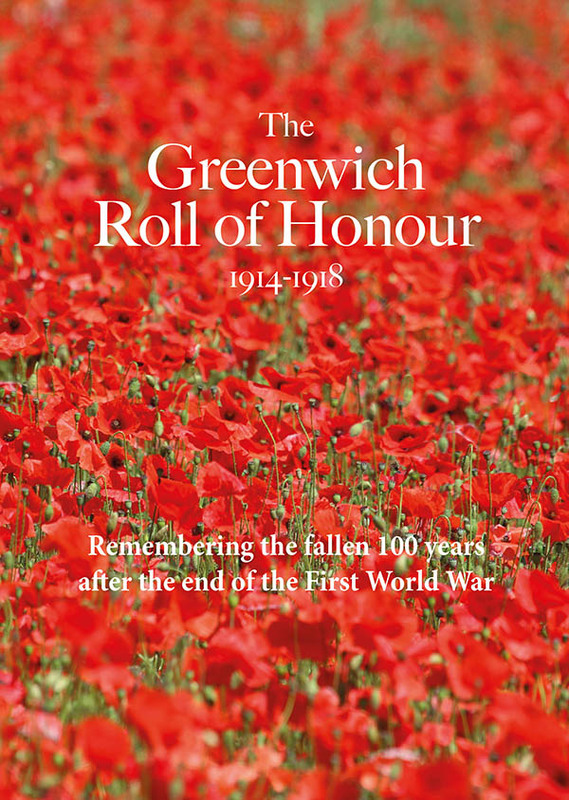 I posted recently about the increased charges for parking in Greenwich but a different type of charging is now on offer at locations across SE10. 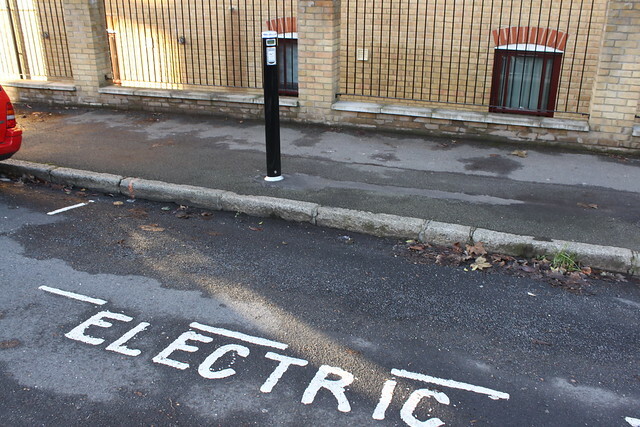 Owners of electric cars can now charge their vehicles at new on-street 'Elektrobays' that have been installed in Blissett Street, Horseferry Place and John Harrison Way. There are two further charging points within the Sainsbury's car park. 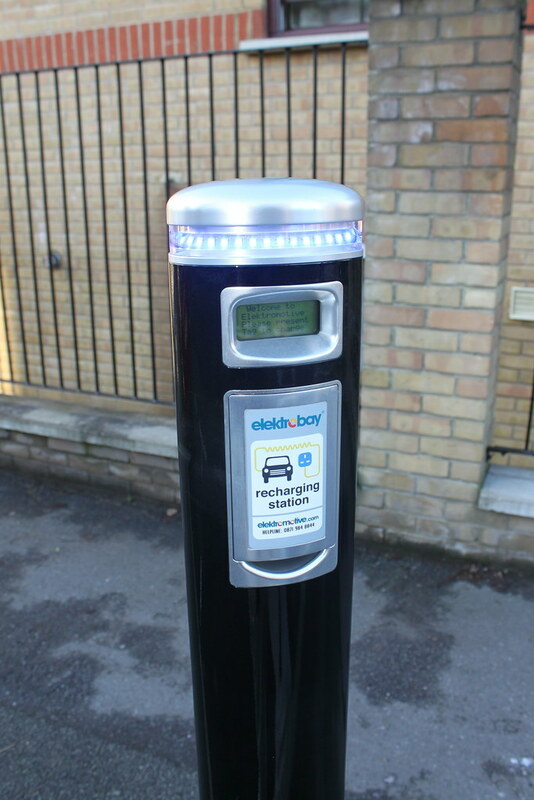 According to a council press release, funding for the charging points has come from TFL and a successful council bid for Government Infrastructure funding.